THE LANGUAGE of the Bible is not considered sacred in Christianity — however, two recognitions prevail. Any translation of the most important philosophical texts creates original forms, more or less giving birth to new meanings. Besides this, common in the Orthodox, the Roman Catholic and the Protestant Churches is the appreciation of all forms and periods of Greek, the whole organism of Greek thinking, as enormously important. 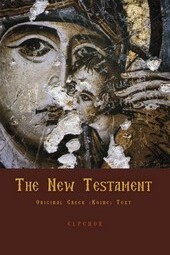 Reading in Greek the New and the Septuagint Old Testament (cf. 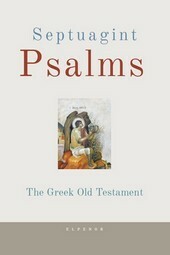 what I write about this in The Ancient Greeks, Athens 2012, p. 12 ff), prepares conditions that support a deeper understanding of the biblical meanings, while in itself a contact with Greek elevates thinking abilities. 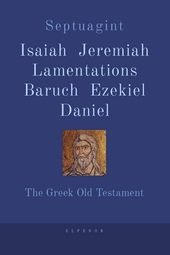 Several ways to approach the text are possible, and to evaluate the prospects a certain precondition besides anything else should not be neglected, an awareness that the main foundation of all meaning lies in the Church, not in the biblical text alone, since the Church decided even the text. Without the Church or before the Church the Bible does not exist and is unthinkable. This truth may not please the Protestant soul, where the authority of the Church sinks in painful memories of the papacy, yet it remains accurate and unavoidable. 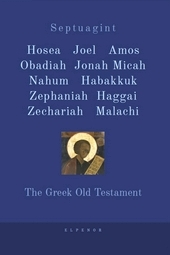 The authority of the Church over the formation of the text regards mainly the Greek–speaking Churches, since anywhere else a translation is used. 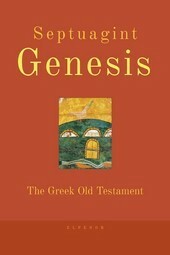 As is obvious, a Greek edition can not be prepared by comparing manuscripts written in German or Latin — and, if indeed the common understanding of the Church as a whole, not just of scholars, is the most important factor that determines the authenticity of the text, this understanding too should speak Greek. However, when changes occur in non Greek–speaking Churches, they can be incorporated in the Greek text, provided that in the course of time they are ecumenically accepted. 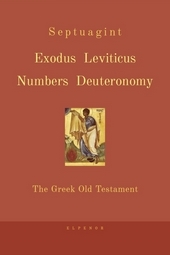 This is the reason, for example, that 1 John 5, 7–8, the passage about the ‘three witnesses,’ is accepted in the current edition, after the decision of the Holy Synod of the Great Church, although it is missing from all known Greek manuscripts written independently of the addition that was introduced in the Vulgate. The Churches are not free to re–write the text at will, however, when decisions are necessary regarding the importance of the available manuscripts, probable deletions, etc — all those decisions that scholars make preparing a ‘critical’ edition — the opinion of a scholar is not the most important factor, but the opinion of the Church. Any possible experience of the biblical text is established in the quality of Church life, wherefrom one learns even that the Bible exists. Our relation to everything, with most crucial and fundamental being the personal or potentially personal relationships, determines in the most essential dimensions how we read the Bible. 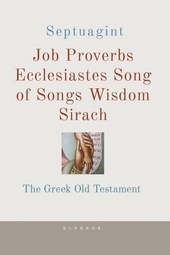 In the first of John’s epistles (4, 20) this primacy is obvious: ὁ μὴ ἀγαπῶν τὸν ἀδελφὸν ὃν ἑώρακε, τὸν Θεὸν ὃν οὐχ ἑώρακε πῶς δύναται ἀγαπᾶν; Something similar happens in the study of the biblical text — the quality of personal life determines the quality of the interpretation of the text, beyond what can be drawn by a disciplined intellect alone.